This lovely wrap is made of 100% Ethiopian cotton. We love this wrap and it is quickly becoming a year round mainstay in our wardrobe. The Dani is made of a combination of hand spun cotton with very light-weight, machine spun cotton. The result is this wonderfully textured wrap that is a perfect accessory for both women and men. 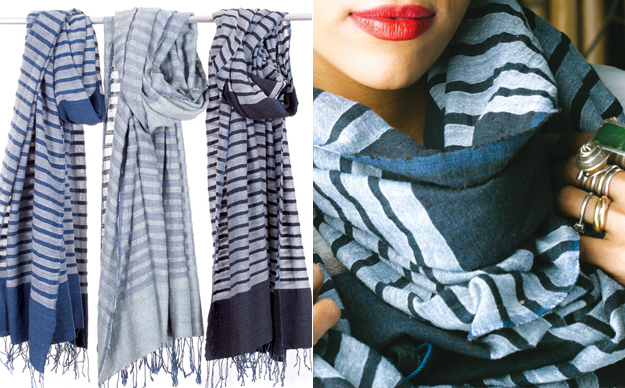 Full and wonderful worn as a scarf or an eye-catching wrap. All of our scarves/wraps hand wash nicely.